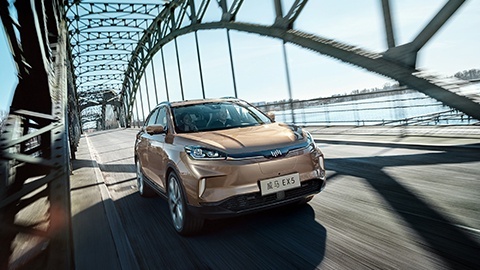 About five years ago, Weltmeister (WM) Motor, a Chinese emerging provider for new energy vehicles and mobility solutions, was seeking a basic software development and integration partner for its first smart and fully electric SUV – the EX5. Simultaneously, WM Motor was preparing for the successful mass production of this product in its self-built Wenzhou manufacturing plant. WM Motor’s project schedule was extremely compressed, and because the EX5 is its first mass production model, the scope and requirements of the project were very commanding. EB developed and integrated basic software for most of the ECUs associated with the vehicle’s CAN and LIN communication, supporting diagnostics, and AUTOSAR network management. EB was flexible and able to meet WM Motor’s evolving needs. These included working closely with Tier 1 suppliers involved in the project, creating documentation, user manuals, and training materials. EB provided WM Motor with safe and reliable mass-production-ready software, unparalleled expertise, and a commitment to excellence. EB’s significant presence in China with 120 employees in Shanghai and Beijing offices, offering local support and expertise from user experience and car infrastructure to automated driving, engineering services, and automotive consulting. Despite the complexities and challenges, the EB team completed the one-and-a-half year project on time and within budget. Our engineers have been extremely flexible in supporting the additional scope of work, and eagerly helped to troubleshoot and solve any potential problems to ensure that the EX5 becomes production-ready.